This "Pinoy pizza" from Historic Camalig Restaurant comes in three of your favorite Filipiniana flavors such as Tuyu (Salted Dried Fish), Tinapa (Dried Fish), and Classic Chicken Adobo. 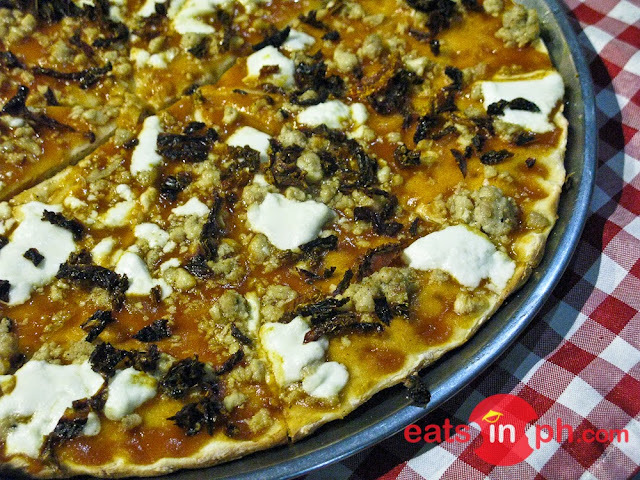 It is then topped with sun-dried tomatoes and kesong puti (local goat cheese). Mangan tana!